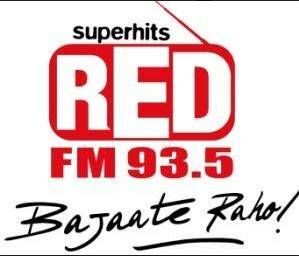 India’s leading FM radio network, 93.5 RED FM, in an effort to tackle the growing problem of incorrect disposal of sanitary waste in the city has partnered with Bruhat Bengaluru Mahanagara Palike (BBMP) to start the initiative of installing a slew of ‘Red Bins’ around the city to propagate safe and hygienic ways of disposing sanitary waste amongst Bengalureans. An estimated 40 tonnes of waste sanitary waste is generated daily, out of which only 5-10 tonnes are collected and disposed. The campaign “Ee Sala Cup Namde” – a quirky play on RCB’s slogan for this year, kick-started around World Menstrual Hygiene Day on May 28th with an aim to urge the citizens of Bengaluru to make the eco-friendly switch from sanitary pads to menstrual cups. World Environment Day, on June 5th, saw the Red Bin project come alive with BBMP – aided and assisted by Sarfaraz Khan, Joint Commissioner, Solid Waste Management and Health, BBMP and Mayor, R. Sampath Raj. The day witnessed the RED FM team visit the Government School, Beedi Workers Colony, Kengeri along with an NGO, The Consortium for DEWATS Dissemination (CCD) Society, to create awareness about the importance of menstrual hygiene and encourage proper sanitary disposal. The first ‘Red Bin’ was placed there in the presence of Deputy Mayor, Padmavathi.